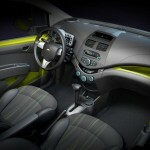 Chevrolet Spark: percussive design, roomy interior, low fuel consumption and low emissions. 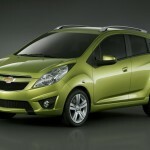 Chevrolet Spark model, ready to enter into series production will make world debut at the Auto Salon in Geneva in March 2009, adding a new dimension in the growing segment of the European mini class. 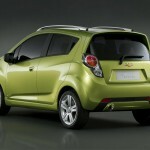 Spark model, with his characteristic style gives luster to the European market early next year. The two powerful engines, four cylinders and a cylinder of 1.0 and 1.2 liters will ensure low fuel consumption and reduced amounts of emissions. Spark model with five doors, created the prototype Beat, combines exciting design with interior space out of the ordinary, offering driving pleasure and, like all Chevrolet vehicles, an extraordinary value.